Psyche Jones just wants to be normal, but between her mom walking out, her own suddenly too-good-to-be-true appearance, and the way everyone at school treats her, normal is next to impossible. When her beauty catches the attention of the mysterious Ross, she leaves her old life behind and takes a chance on the stranger. Everything with Ross is magical, from his toe-curling kisses to the invisible servants who staff his castle, but loving him might be more than a mere mortal like Psyche can handle. Has she wandered into an unexpected fairy tale, or does something ancient and dark threaten her love? Beautiful Curse is a re-imagining of the myth of Cupid and Psyche. “Beautiful Curse is the perfect balance of mysterious and romantic. You’ll swoon over this imaginative retelling of Cupid and Psyche.” – Robin Constantine, author of THE PROMISE OF AMAZING. 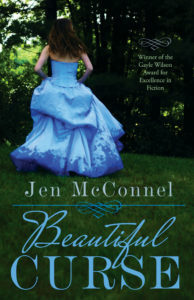 And check out Lana’s story, set in the same world as Beautiful Curse! Lana loves to run; it’s like the moment her feet leave hit the track, she can fly. But her world gets turned upside-down when the father who abandoned her as a child shows up to claim her. 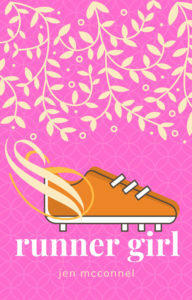 Runner Girl is a re-imagining of the myth of Atalanta, and it was my MA thesis at Hollins University. It’s currently available free for everyone on Wattpad.